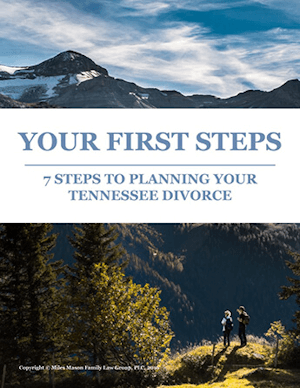 The Lifestyle Analysis: forensic accountants can present evidence of a lifestyle analysis showing, in detail, need and ability to pay alimony – two critical components of Tennessee alimony in divorce law. 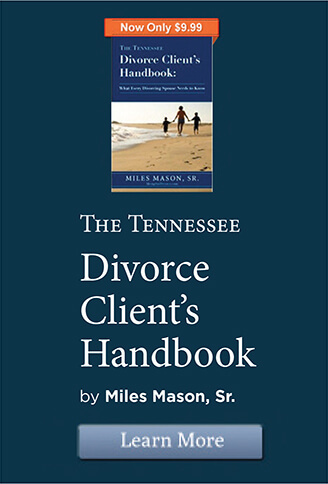 Article by Memphis, Tennessee divorce lawyer Miles Mason, Sr. and Sandy Klevan, CPA/ABV pubished in the American Bar Association Family Law Section’s quarterly magazine to its 10,000 members, the “Family Advocate.” This article has been reprinted by permission of the American Bar Association. Mason expanded this discussion to an entire chapter in his book, The Forensic Accounting Deskbook, also published by the American Bar Association. Prior to this article, very little had ever been published in divorce and family law journals about Lifestyle Analysis. At the bottom of this page, see links to other articles also discussing a lifestyle analysis. Almost all state alimony laws list as a statutory factor the “standard of living of the parties during the marriage.” Presenting evidence for this factor almost always comes from the parties, such as a spouse’s testimony regarding country club memberships, private school tuition, luxury cars and travel, spa treatments, and house cleaning services. A typical problem is a spouse’s inability to be precise and respond to detailed questions. A forensic accountant can present a “lifestyle analysis,” and testify to the parties’ historical financial transactions. 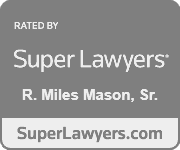 The following article, authored by Miles Mason, Sr. JD, CPA and Sandy Klevan, CPA/ABV, describes the use of a “Lifestyle Analysis” in the context of an alimony claim. It originally appeared in the American Bar Association Family Law Section Family Advocate, Vol. 31, No. 4 – Spring 2009. © 2009 American Bar Association. All rights reserved. Reprinted with permission. In the classic movie Bull Durham, the baseball team’s manager makes an inspiring speech to his team: “Baseball is a simple game. You throw the ball. You catch the ball. You hit the ball.” In divorce, the same can be said of property division. “You identify the assets. You classify the assets. You value the assets.” Alimony is the tricky part, because of limited avenues in presenting evidence advocating a client’s need or ability to pay. Almost all state alimony laws list as a statutory factor the “standard of living of the parties during the marriage.” Presenting evidence for this factor almost always comes from the parties, such as a spouse’s testimony regarding country club memberships, private school tuition, luxury cars and travel, spa treatments, and house cleaning services. A typical problem is a spouse’s inability to be precise and respond to detailed questions. A forensic accountant can present a “lifestyle analysis,” and testify to the parties’ historical financial transactions. Many state appellate opinions recite, almost like a mantra, that the two most important considerations in alimony determinations are the spouses’ need and ability to pay. At its core, need and ability to pay are a euphemistic way to describe a judicial determination of actual historical income reduced by a combination of current or projected “reasonable” expenses. Reasonable need or adjusted expenses is a matter of judgment left to the trier of fact. Expenses for two households are always greater than one. Also, the claimed net disposable income of either party is often lower after separation and divorce. Quantifying the “reasonable need” of a party is best determined after a review of actual historical expenses. Most family lawyers have offered into evidence in a temporary hearing or divorce trial a statement or financial affidavit detailing the client’s income and expenses, which ultimately will be affirmed by testimony. Many spouses’ statements of income and expenses are a disjointed combination of actual historical, estimated historical, and projected transactions. For example, a commissioned salesperson will rarely list as current income an actual average of base earnings plus a prior year’s commission. Instead, he or she will list some portion of the guaranteed base and omit most, if not all, of any unearned portion of the current year’s commission. On the expense side, a spouse may list actual monthly expenses for an item, rather than averaging the cost for a month over a year period. For example, pool maintenance is more often only a summer expense, lasting only three or four months. Regardless, the amount will be questioned. Challenging a testifying spouse by zigzagging among relevant time periods and estimates compared to actual figures can be an effective strategy, destroying the credibility of a less organized and less prepared spouse. To avoid such problems with a client’s testimony, engage a forensic accountant to assist with the lifestyle analysis. The forensic accountant’s role can range from compiling the lifestyle analysis from source documents to analyzing and reclassifying or reformatting data already input by the client. In both instances, the forensic accountant would issue a report and, if necessary, testify to the report. Initially, the client, attorney, and forensic accountant must work together to develop a plan. Key areas to discuss are relevant time periods to be analyzed, the detail of the analysis, format of the report, and expected due dates. These factors will help the forensic accountant determine what source documents to request and how to move forward. For divorce support considerations, in most jurisdictions the statutory factor dictates “standard of living of the parties during the marriage.” To some courts, this may exclude separation. A Projection of postdivorce information may be helpful to show how income and needs will change once the divorce is final. In most cases, a two- or three-year period prior to separation should be sufficient. The relevant time frame will vary depending on several aspects of the particular case, including a limitation on available documentation, variations in income and spending levels, length of separation, engagement time, and cost limitations, as well as other special circumstances. Supporting documents for all transactions in all accounts, including, but not be limited to: cancelled checks (both sides), deposit slips, credit memos, debit memos, wire transfer authorizations, credit card statements for all credit cards, invoices or receipts, insurance policies, mortgage or other loan documents, property tax bills, and automobile lease agreements. If a business could be providing perquisites to either party through payment of personal expenses, the forensic accountant would also ask for all of the above information for the business. The lifestyle analysis is best organized using categories provided by the appropriate state guidance. For example, New Jersey provides a Case Information Statement with a very detailed format for classifying the parties’ expenses, whereas New York has a Statement of Net Worth, and Cook County, Illinois, calls it a Disclosure Statement. The general categories are typically housing, transportation, children, and personal. Detailed line items are provided for each general category, and these vary by state. Personal expenses include household expenses, such as food and maintenance, vacations, clothing, health clubs, medical care, among others. The forensic accountant should have all income and disbursements from accounts in bookkeeping software such as Quickbooks or Quicken or in an Excel spreadsheet. In some cases, the parties maintain their finances on one of these software products and will provide access. If the client and expert have the software and the client is willing to turn over the electronic files, data entry time and costs can be minimized. The accountant then must classify income and expenses into relevant categories and allocate as to husband, wife, children, or joint. Use of the memo field on the check, any descriptions written in the check register, or further identification on the bank statement can be helpful. Reference to other supporting documents may provide additional guidance. Lacking such evidence, the forensic accountant can use his or her general knowledge or information obtained from the Internet about payees to help determine the purpose of the payment. For payments to credit cards, including retail store cards, more than a review of the credit card statement may be necessary. For example, a spouse may purchase clothes and/or furniture at a department store. If the accountant’s client does not know the categories of purchases, the opposing spouse may need to be deposed. Nonrecurring income and expenditures may or may not be included in marital lifestyle. Often if nonrecurring expenses can be reasonably foreseeable, they will be considered. The best way for the forensic accountant to handle nonrecurring items is to list them separately in the analysis. Some common nonrecurring expenses are new cars, bar mitzvahs, weddings, equipment, and appliances. In evaluating a divorcing couple’s martial lifestyle, savings and borrowing can be tricky. The forensic accountant must identify the amounts and frequency of borrowings and savings and how these factors impact lifestyle. Some parties have not fully supported their lifestyle from earnings, but have borrowed to pay for living beyond their means. For others, lifestyle could arguably include a regular savings component. Jurisdictions differ on how to treat these aspects of lifestyle. California courts will consider the parties’ track record of savings in determining the marital standard of living when ability to pay is not a limiting factor. Alternatively, in Florida, the savings component is generally excluded as a factor in awarding alimony. Careful consideration must be given to these factors in determining historical lifestyle as well as reasonable need. For alimony negotiations or trial, the forensic accountant normally prepares a report summarizing the results of the historical analysis. The report will show the results in traditional categories, discussed previously, and describe procedures followed and opinions reached. It is usually helpful to include the detailed, categorized, and allocated analysis of income and expenses in the report, with footnotes as to all relevant assumptions. As part of the expert’s analysis, attorneys may request forensic accountants to calculate projected support based on certain assumptions. For example, if the independent spouse’s attorney argues that a dependent spouse’s historical spending in a specific area was excessive or unreasonable considering the couple’s overall financial condition, the forensic accountant could prepare calculations reducing the dependent spouse’s projected needs in that area. 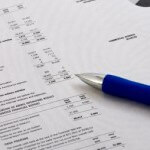 In another common situation, the forensic accountant can consider predictable postdivorce events, such as the dependent spouse’s increased future earnings. A vocational expert can testify to the dependent spouse’s projected earning capacity upon completion of additional education or retraining. The forensic accountant may incorporate the vocational expert’s opinion and prepare projected support calculations based on the increased earnings. Basing projected need on actual historical financial transactions, the forensic accountant can provide a concrete and credible presentation in an easily understandable format. Assuming calculations are well considered and conservative, any meaningful attack will likely require an equal amount of planning and forethought. 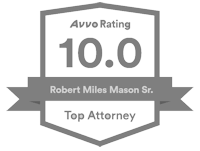 Miles Mason, Sr., JD, CPA, is an attorney with Miles Mason Family Law Group, PLC with offices in Memphis, Tennessee. He is a member of the ABA Section of Family Law, AICPA, and NACVA, and he serves as the ABA Family Law Section’s Liaison to the AICPA. Sandy Klevan, CPA/ABV, is a Managing Director at Financial Research Associates, a firm specializing in forensic accounting and business valuation for litigation support purposes. She is a Certified Public Accountant and is accredited in business valuation and has been actively involved in forensic accounting and business valuation engagements primarily in the marital dissolution arena for more than 17 years. The authors would like to thank Julia G. Williams for research assistance with this article. In two cases, forensic accountant testimony proved persuasive in assisting the trial court in ascertaining the marital standard of living. In Weinstein v. Weinstein, 5 Cal. Rptr. 2d 558 (1991), a California trial court determined that the marital standard of living should be based on income, rather than actual expenditures. The husband’s forensic accountant analyzed average income over the last six years of the marriage and “spendable income” for three years prior to divorce, which arguably showed the family’s average expenses per person/per month based on living expenses and the husband’s income. 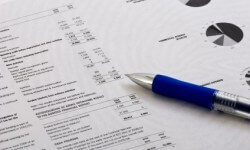 The forensic accountant also analyzed the monthly average net income for six years prior to divorce to determine reasonable family expenditures. The wife’s forensic accountant determined the marital standard of living based on actual expenditures during six representative months of the last year of marriage. His report showed that average monthly expenditures exceeded average monthly income for two years prior to divorce. When presented with these two alternatives to measure the marital standard of living, as well as evidence that the parties’ expenditures were unreasonable, the trial court determined the appropriate measure to be the average income over the last six years of marriage. The appellate court upheld the trial court decision, finding the court was not required to sustain an over-extended lifestyle. In the Illinois case of Heroy v. Heroy, No. 1-07-0308, 2008 WL 4290859 (Ill. App. 1 Dist. Sept. 17, 2008), the trial court analyzed expert testimony from competing forensic accountants regarding the marital standard of living to determine the award of permanent maintenance in the dissolution of a 26-year marriage. Both experts agreed that the three-year period prior to divorce constituted the appropriate time frame to quantify the couple’s lifestyle and agreed regarding the amount of money that passed through the couple’s account during that time. When both experts testified regarding the wife’s reasonable need, using dissimilar methodologies, their conclusions differed. The Wife’s forensic accountant testified that the wife’s reasonable expenses equaled an amount four times higher than what the husband’s forensic accountant calculated. The husband’s forensic accountant opined that the wife’s expert overestimated her monthly expenses because those calculations were based on estimates provided by the wife and not on actual expenditures. The wife’s forensic accountant conducted a lifestyle analysis reporting her cash flow, which depicted past spending, from which she calculated projected expenses. The projected expenses took into account such things as future mortgage and car payments. The husband’s forensic accountant also reported “reasonable” expenses, adjusting for certain items, such as reimbursed business expenses. The trial court did not adopt or reject either forensic accountant’s projections but awarded an amount between the projections, based on its analysis of the expert testimony presented and on statutory factors. –M. M. & S. K.
COPYRIGHT WARNING: This information or any portion thereof may not copied or disseminated in any form or by any means or downloaded or stored in an electronic database or retrieval system with the express written consent of the American Bar Association. Why a Lifestyle Analysis Is So Critically Important For Divorcing Women by Jeff Landers, on Forbes.com. Four Reasons Why A Woman Needs A Vocational Expert On Her Divorce Team by Jeff Landers, on Forbes.com.